There is a local wine store here in Maryland that has been holding spirits tastings over the past few months, letting people try different vodkas, gins, rums, etc. 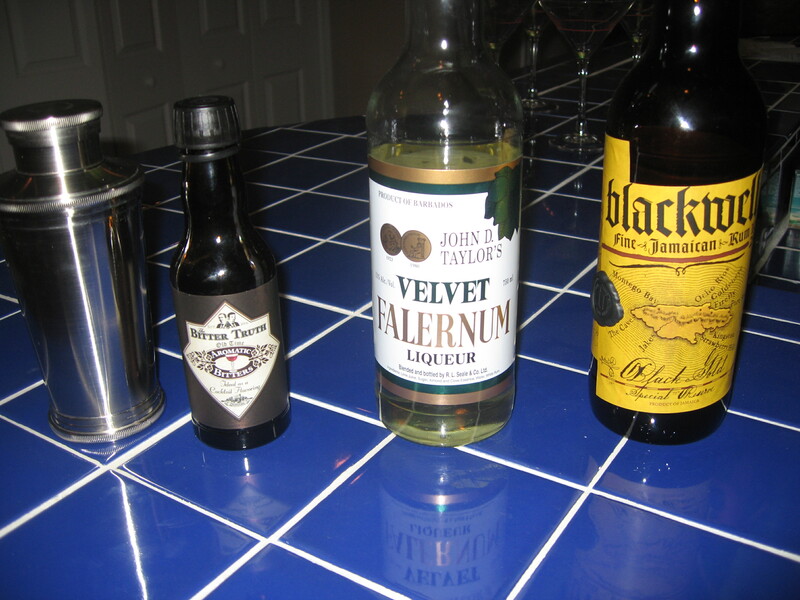 In a recent tasting I was introduced to a new liqueur called Velvet Falernum – a rum based liqueur from Barbados. It is sweet but has a unique spice flavor to it, apparently from cloves and other herbs. It is a unique and very good taste that I really like. I have developed a winter-time taste for rum based Manhattans using a dark rum, a good sweet vermouth (such as Dolin) and old fashioned bitters. 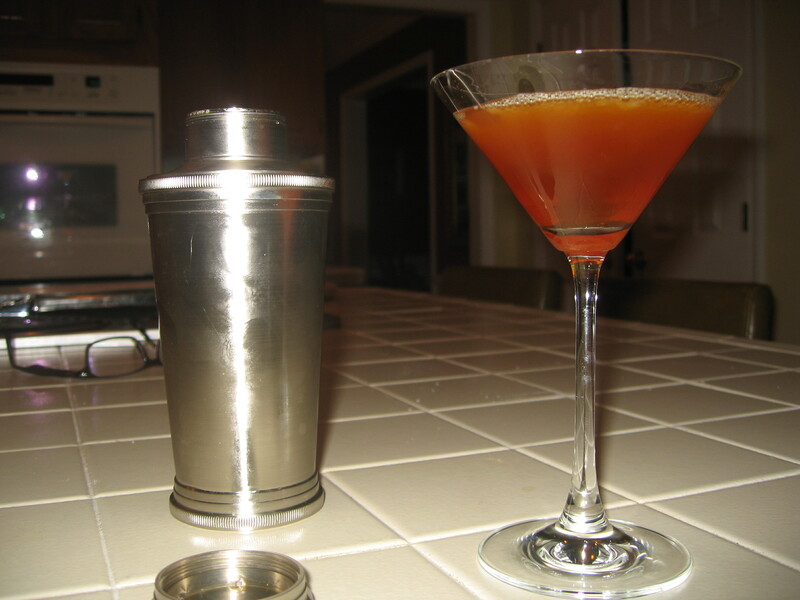 So I decided to try my favorite Manhattan with Velvet Falernum to see what would happen. Ummmm! It was a great change of pace. Pour into a martini glass and enjoy! I have been trying to come up with other uses for the Velvet Falernum and found several on the Internet that look promising. I think it would also be a good addition to a Mojito, used in place of the sugar syrup. I plan to try that as soon as the fresh mint is available.